Avonmore Books’ new edition of a 1990s work features new and improved graphics; a host of photographs, and the complete story of the submarine action, and events through the decades beyond – for the sunken vessel did not lie easy. Code seekers; treasure hunters; and potential salvors eventually led to the formation of the Historic Shipwrecks Act. 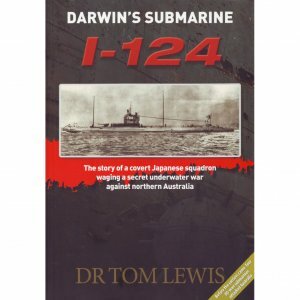 Dr Tom Lewis OAM is the award-winning author of several history books describing World War II in northern Australia. His best-selling A War at Home, detailing the attacks on Darwin by the air armada of February 1942, is now in its 4th edition. Seeing combat deployment in his alternative career as a Royal Australian Navy officer, Dr Lewis remains at the forefront of researching the unusual and mysterious intricacies of the little-known aspects of Australia’s darkest hours.